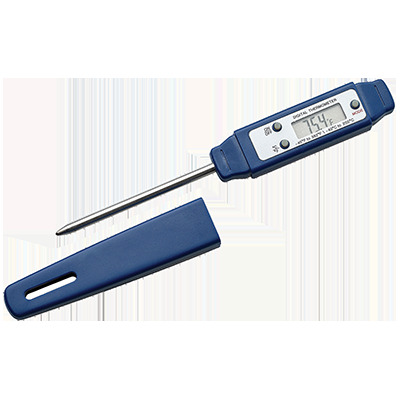 The Winco TMT-WD1 Kitchen Thermometer is a waterproof, compact pen-style thermometer with instant readings for liquids and solids, providing reliable food temperature control and food safety. Includes LCD display with hold feature, auto shut-off and protective sheath. Waterproof. -58 to 392 degree temperature range. 7/8 inch LCD face size, 2-3/4 inch probe length.